A very quick post from me today, as I have a ‘to do’ list as long as my arm…I know I shared a picture of this spot in my living room fairly recently, but I just can’t resist getting my camera out when that sunshine is pouring through the windows. 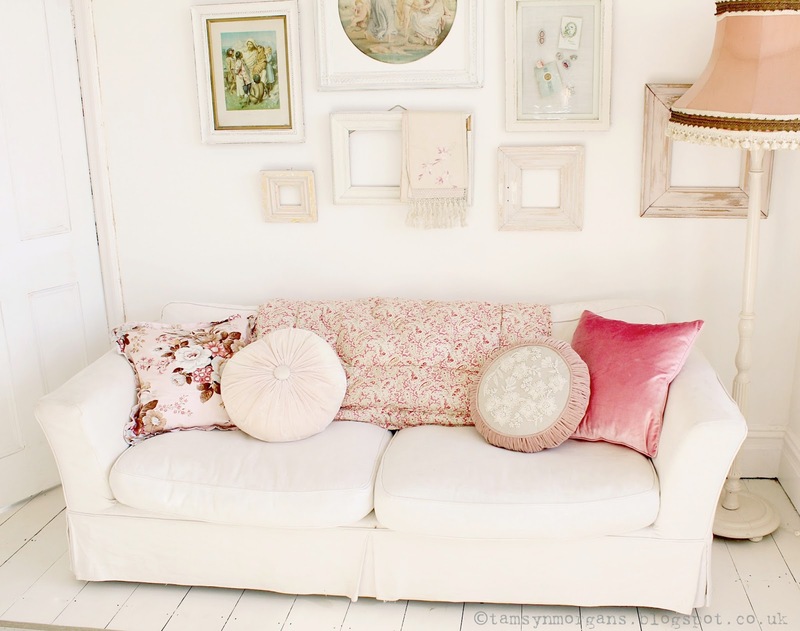 I really love this arrangement of your sofa. Those cushions look lovely and so elegant. My eye is particularly drawn to the velvet one. My goodness, that just glows….